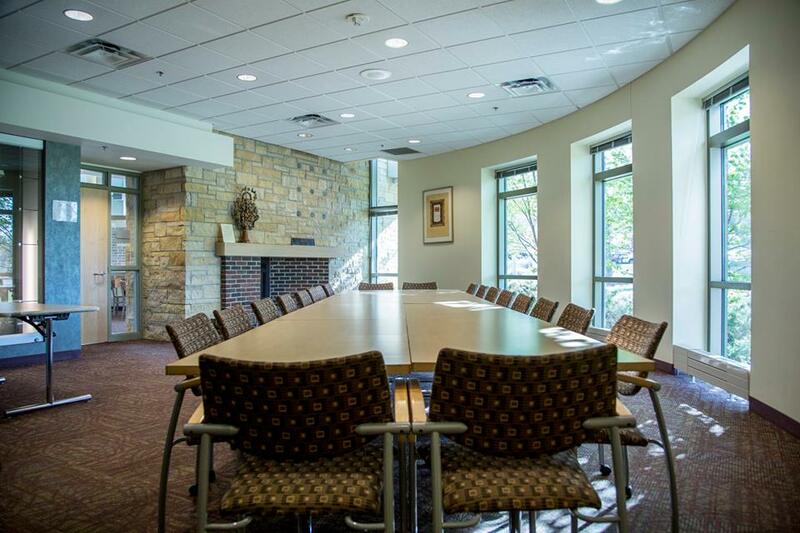 The Ecolab Fireside Room is located on the first floor of the Wellstone Center, just past the main entrance and lobby. Featuring floor to ceiling windows for natural light, a charming fireplace with stone surround, and finished with historic Neighborhood House details including original artifacts and tiles. 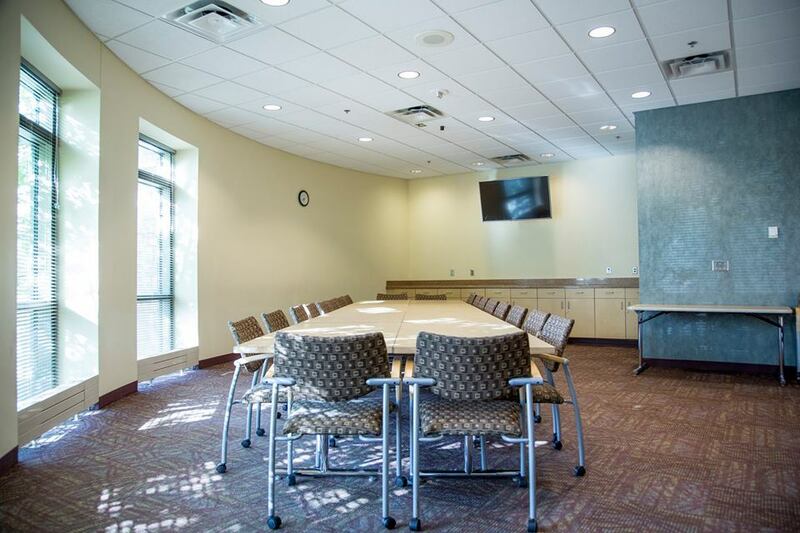 This boardroom style set-up has all of the modern elements for a successful meeting, including a large projection screen and beautiful build-in buffet.